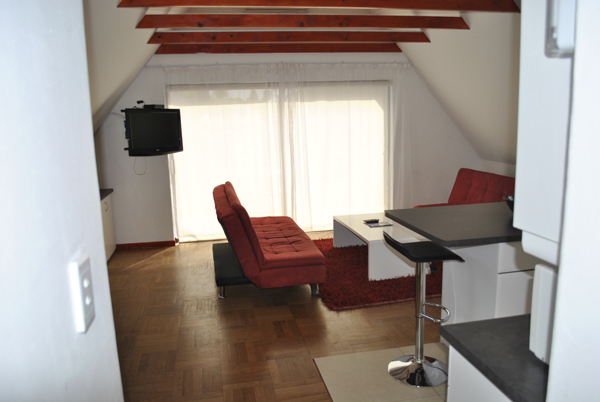 Residence – The Loft Guest Room for rent has a very stylish newly built loft on top of an unused garage. 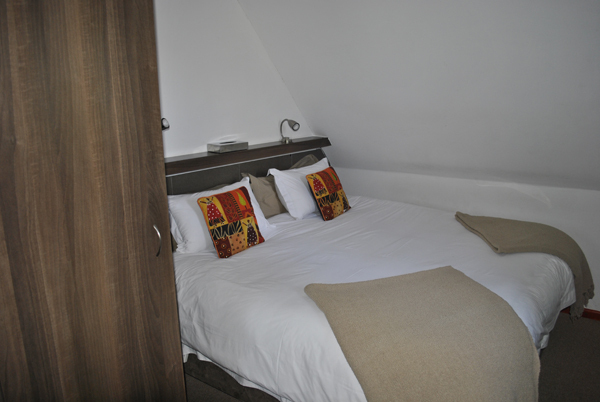 Double room with 2 beds bedded together. View towards Table Mountain from bedroom. 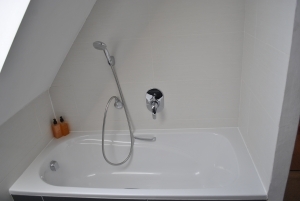 Bathroom with tub. Living room with 2 sleeper couches, table, desk, open plan kitchen. 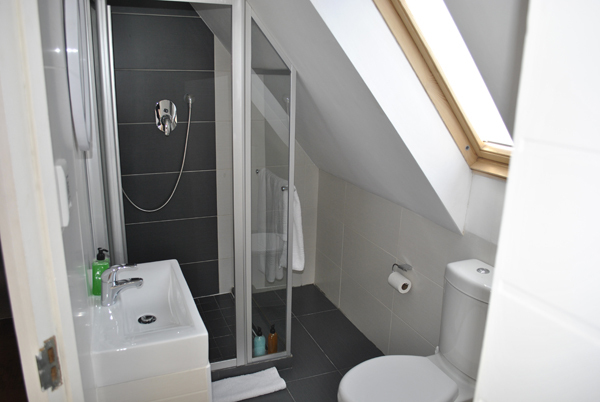 Extra bathroom with shower. Balcony. 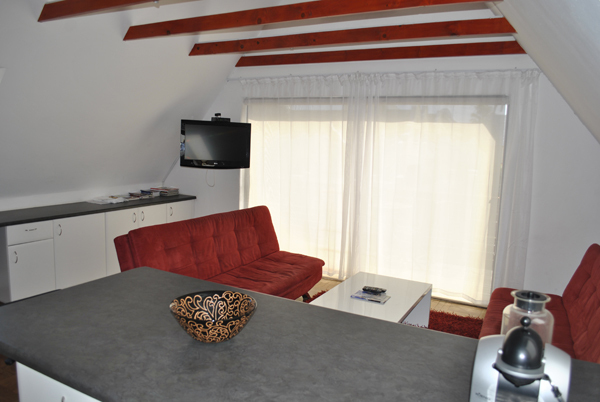 Room size: 41.5 m2. 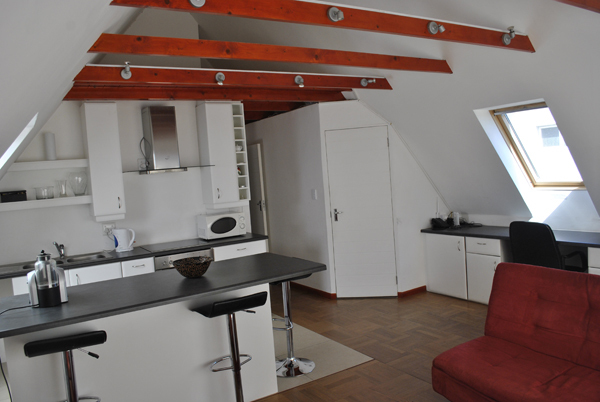 This Loft Guest Room for rent includes a private entrance and secure fenced off parking.